Nowadays, most of us feel like we are running out of time on a day to day basis and ironically, the more we try to look after ourselves by going to the gym, visiting our local yoga studio and so on to find the balance against work, we are adding more things to our schedule that can cause further stress! This is easily achieved and will stop you from procrastinating. To keep us focused on what we need to do throughout the day, and what is most important to us, make yourself a list. Use the notes, calendar or reminder section on your mobile or even put a little reminder on your bedside table or bathroom mirror. Allowing yourself the time you need in the morning is something we should all be more aware of. Having enough time to get to work, drop the kids off, get ready, will stop us feeling rushed and stressed first thing in the morning. 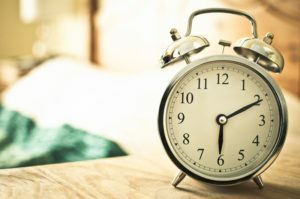 Sometimes, waking up earlier and sacrificing that extra time in bed can be beneficial. Here’s a little tip from us – Wake Up to your favorite song, have some fun and a little dance to yourself. Release those endorphins, enjoy and, we promise you will feel great! 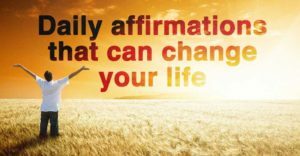 Affirmations help you to give something to yourself (we all feel heavy when we’re running around trying to make everyone happy). Remember your morning affirmation is about, you, you, you! Saying great things to yourself and the universe can be highly effective and encourages us to look after our mind, body and spirit. You can try this affirmation – My body is healthy; my mind is brilliant; my soul is tranquil. Don’t be afraid to create your own affirmation in accordance with what you need. Tip Of The Day – You can find peace anywhere and better yet, it is free!